JEFFERSON CITY, Mo. — A group of the state’s African-American religious leaders gathered at the Capitol Tuesday urging lawmakers to pass legislation dealing with criminal justice reform and voter protection. 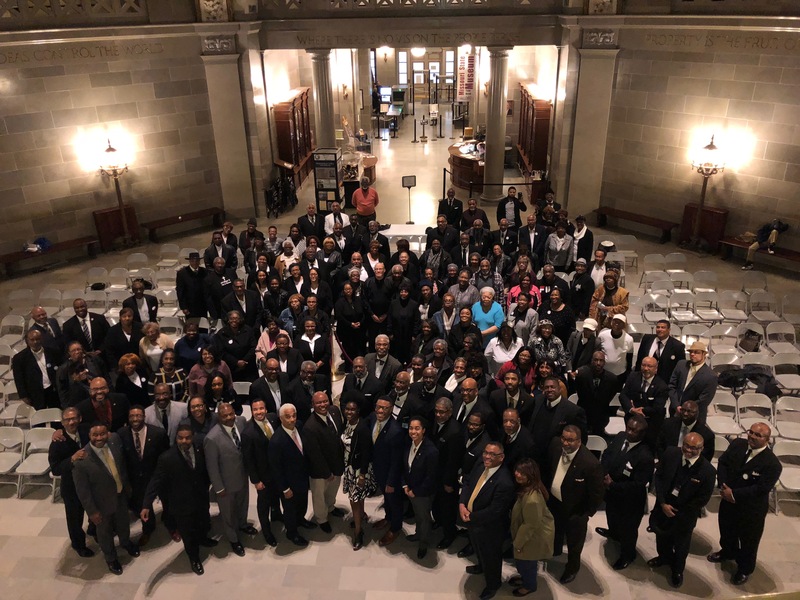 Put on by the Missionary State Baptist Convention of Missouri (MSBCM), the event featured clergy and lay leaders representing more than 500 churches and 250,000 members pushing for legislative change. Legislative Black Caucus Chair Steven Roberts Jr. welcomed the MSBCM to the Capitol, noting the importance of the group bringing its issues to lawmakers as it puts faces on the legislation the organization is advocating for. Missouri Supreme Court Judge George Draper promised the court will help the community and encouraged those gathered to keep up their efforts of engaging with local lawmakers. “The legislation that comes out of here is indeed important. It is the word of the people spoken on the tablets that our community lives by,” Draper said. The bills the MSBCM advocated for were: HB 284, which modifies provisions dealing with absentee voting in St. Louis counties and cities; HB 731, which creates automatic voter registration and includes those who are eligible to vote upon release from incarceration, probation, or parole; and HB 666, which deals with bail reform. The event ended with a call to action for the convention and its members to stay politically active and push for legislation that’s important for its community.